The Vespa division of the Piaggio Group continues to expand its footprint with a brand-new powerplant for the GTSscooterline with the GTS 300 hpe. Fans of the brand rejoiced at the news of the most powerful engine to make it onto a Vespone descendant, and for many, this is the engine they’ve been waiting for. Safety comes standard with a few traction-protection subsystems as part of the stock package, plus it features LED forward lighting to help you see and be seen. Best of all, it remains faithful to the design progression that began right after WWII and continues to this day, so it has that classic look that really seals the deal. Piaggio expanded its “Vespino” footprint in 2018 with the GTS Super 300 and Supersport variant. While it can be said of every Vespa that the design roots generally run deep, these two rides make references to some very specific models from history in order to establish its pedigree. Classic Italian looks are always nice, but under the hood the Super packs away 21st century tech to make it a thoroughly modern machine. Safety features were a front-burner issue for Vespa, so the factory blessed the family with a double layer of stability insurance to make the line suitable as an entry-level scooter capable of performing within the urban riding environment. Vespa carries its GTS 300 scooter into 2019, along with the variant dubbed the “Touring” added in 2018. 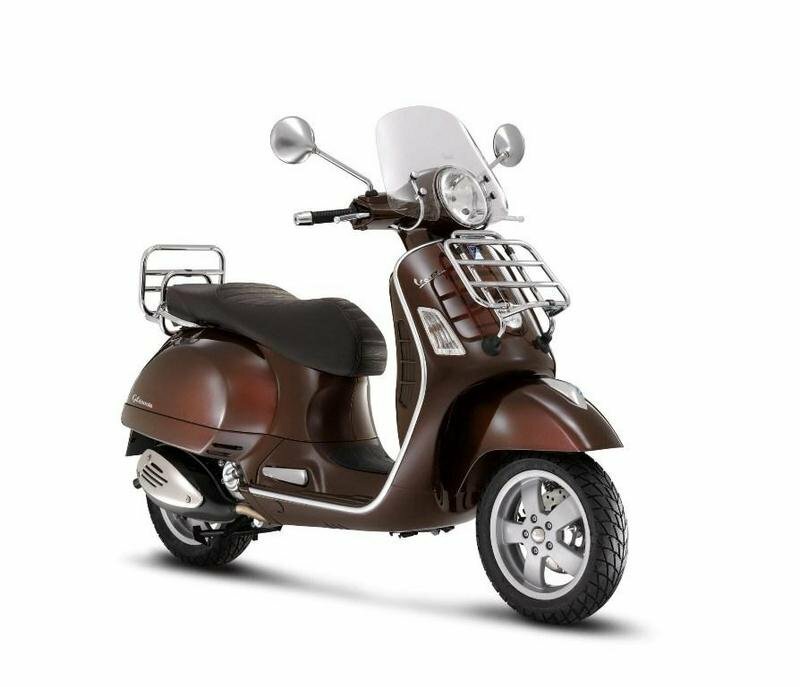 As usual, Vespa maintains the classic looks and features long associated with the brand, but added some decidedly modern gadgetry to the mix that brings the machine right up to date. Traction control and anti-lock brakes add safety and value to help move this family up to make a bid for top-shelf status within its displacement. 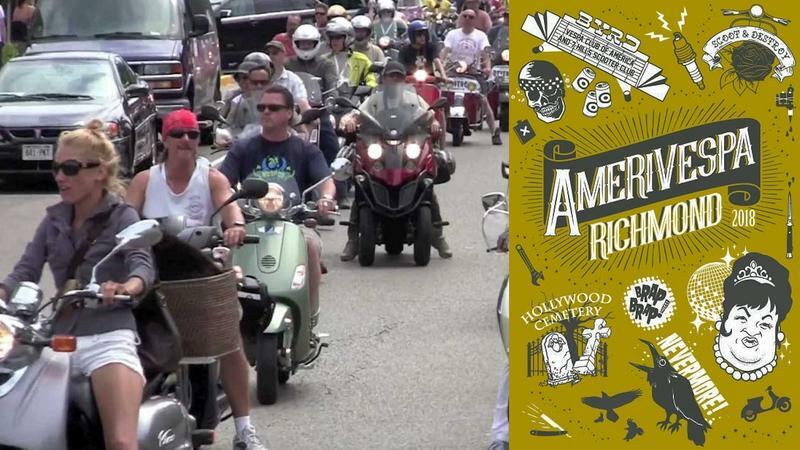 The UK has been facing a notorious crime of motorcycle thefts. Things in London, however, is in a different level altogether. There were over 14,000 motorcycle thefts reported in London the last year, and 23,430 crimes were committed using motorcycles that were stolen of course. On an average, 77 bikes worth are stolen per day and to crack this atrocity, London Mayor Sadiq Khan spoke about manufacturers incorporating better anti-theft measures into their products to make it difficult for people just to whisk away bike without authorization. 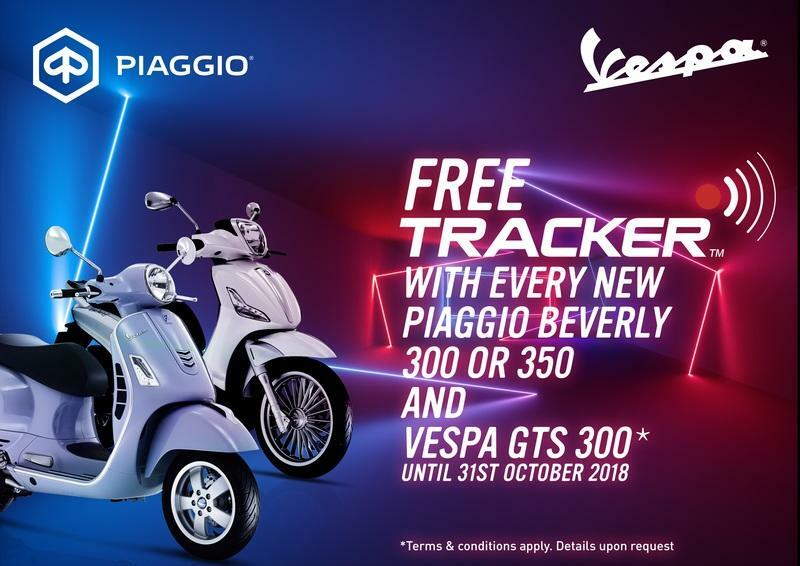 And joining Honda UK in this effort, Piaggio has offered to equip all the new Vespa GTS 300s’ and Piaggio Beverly 300/350s’ with tracking equipment free-of-charge. Vespa unveiled the new special edition models of some of their most popular scooters last week at the annual Amerivespa rally held this year in Richmond, Virginia. These 2019 models are slated for release at U.S. dealers over the next few months. 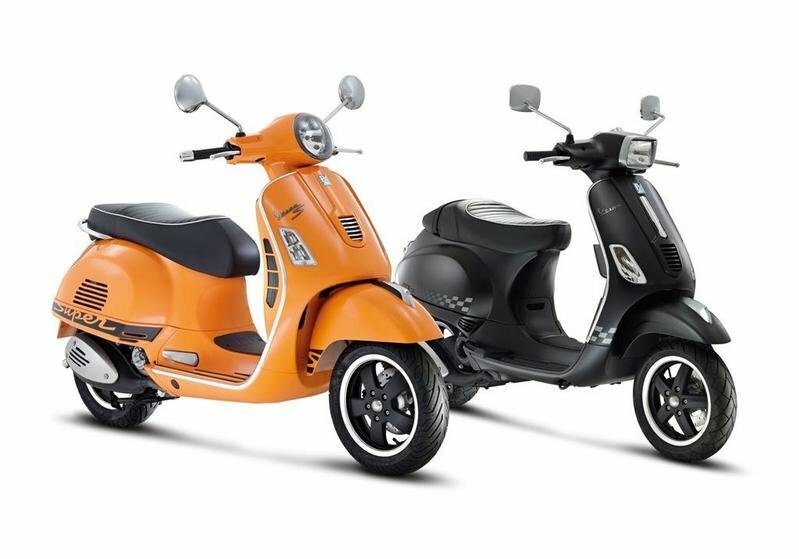 Continue reading for more on the new Vespa SE models. Vespa, under Piaggio Group, has redesigned and repowered its flagship Gran Tourismo Sport scooter for the 2017 model year. The GTS 125 and 150 get an entirely new engine in order to meet Euro 4 emissions standards and keep fuel consumption as low as possible in response to popular demand. Unveiled at 2016 INTERMOT, Piaggio revealed the GTS with all the vintage lines that we love and the iGet engine that new emission standards demand. Continue reading for my review of the Vespa GTS 125 and 150 iGet. The Vespa GTS 300 Super Sport SE is a classic-looking scooter equipped with modern technologies. 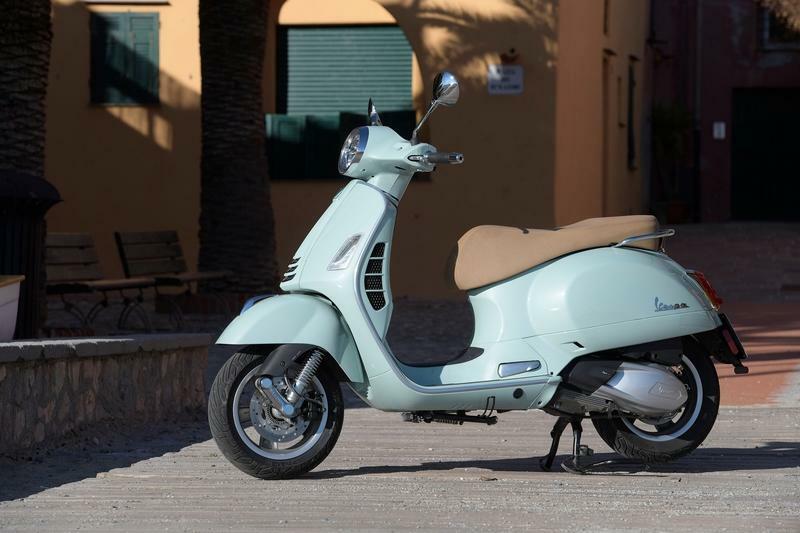 In terms of style the scooter can be easily distinguished thanks to its retro lines and the fat front fender. You also get a classic, round headlight, a spacious saddle and a compact handlebar. The Vespa GTS 300 Super Sport SE is propelled by a 278cc, single-cylinder, catalysed, 4-stroke, 4-valves QUASAR engine with electronic injection. The engine delivers a maximum power of 15,8 kW at 7.500 rpm (21.1 hp) and 22,3 Nm of torque at 5.250 rpm (16.4 ft-lb). All its power is kept under control by a modern CVT transmission. The scooter rides on 12 inch wheels and each wheel is fitted with a 220 mm disc brake. 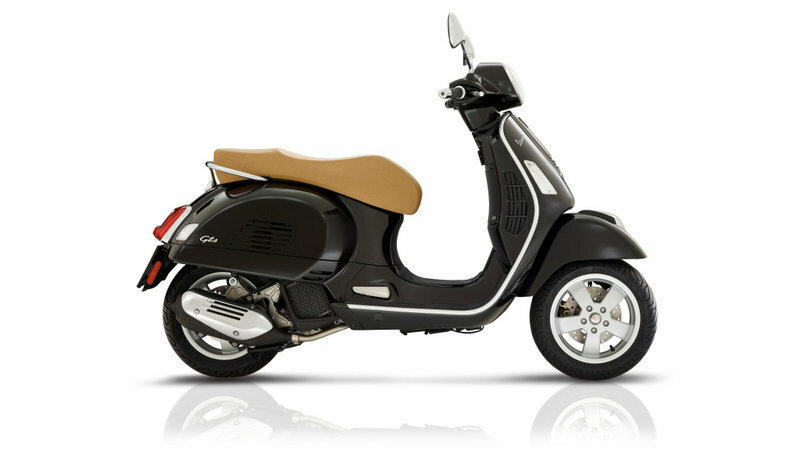 The Vespa GTS 300 Super Sport SE is offered with a starting price of $6199. 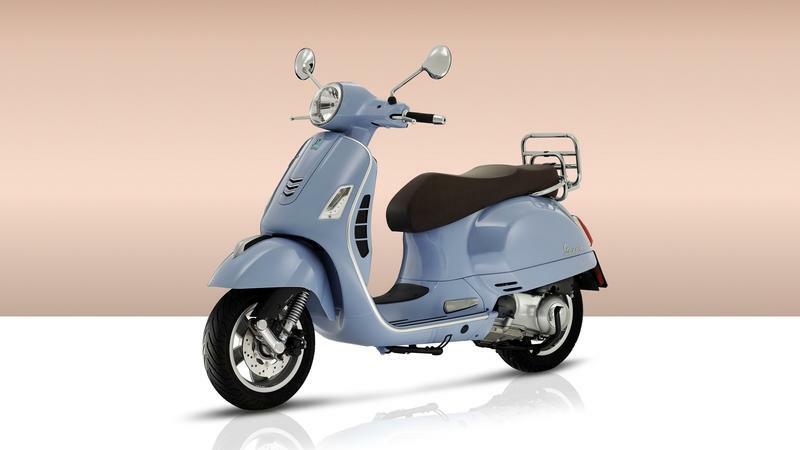 Hit the jump for more information on the Vespa GTS 300 Super Sport SE. 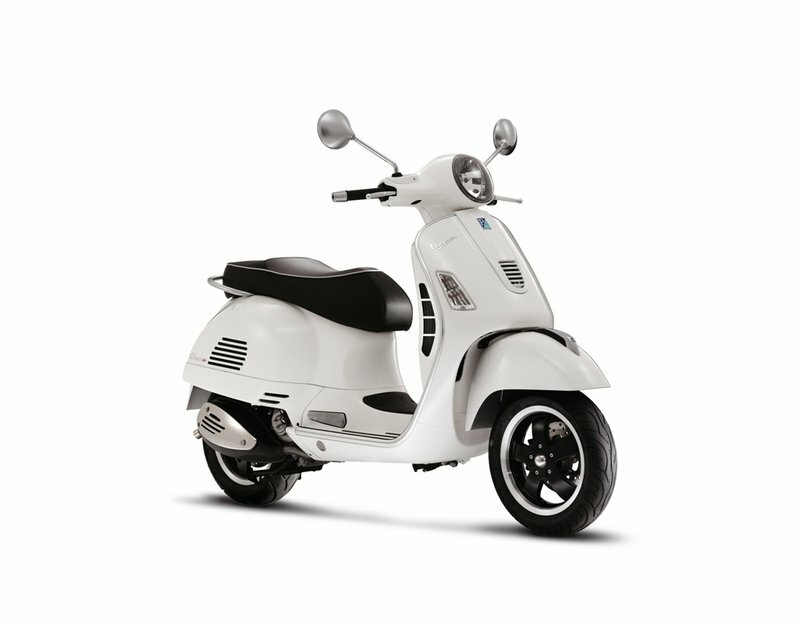 Hit the jump for more information on the Vespa GTS 300 IE SUPER. The Vespa GTS 300 IE is a retro scooter packed with more than enough power to reward its rider with a pretty thrilling riding experience. In terms of style, we especially like the decisive lines of the cowls, the round and sloping front headlight, the short windscreen and the big front fender. The Vespa GTS 300 IE features a monocoque body, made entirely from steel that gives it improved handling abilities and a better rigidity. Once on board you are met by a comfortable saddle which together with the ergonomically designed handlebar gives you a fairly relaxed riding position. 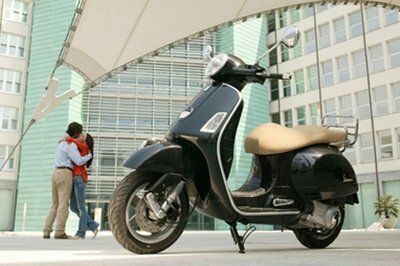 The scooter is powered by a single-cylinder, catalysed, 4-stroke, 4-valves QUASAR engine with electronic injection. The engine has a capacity of 278 cc and delivers a maximum output of 15,8 kW at 7.500 rpm (21.1 hp) and 22,3 Nm at 5.250 rpm (16.4 ft-lb). 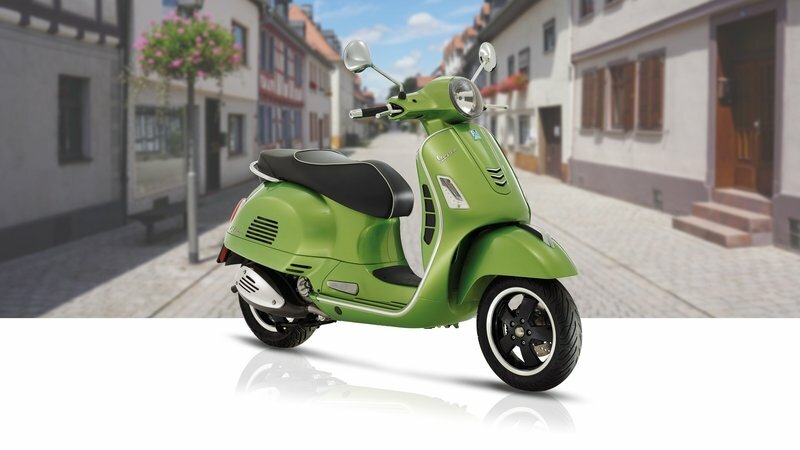 Hit the jump for more information on the Vespa GTS 300 IE. Fifty years ago, Piaggio shook up the scooter world with its Vespa GS (Gran Sport), at the time the fastest Vespa, the first to reach speeds of more than 60 mph and the first Vespa model with 10-inch wheels.